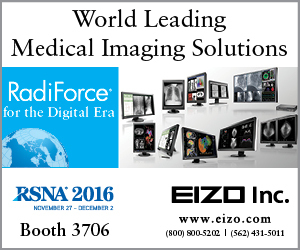 RSNA is just around the corner, so here’s a quick update on what’s happening at this year’s show. 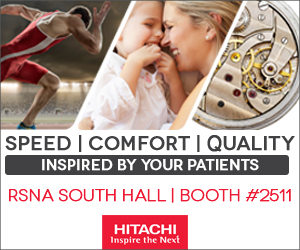 In just a few weeks, RSNA will return to Chicago for what is annually the biggest conference in the field and the largest annual medical meeting in the world. The 102nd Scientific Assembly and Annual Meeting will take place at McCormick Place from November 27 through December 2, and this year’s event is expected to have even more attendees than last year, according to information provided by the organization. In addition to the reported 6% increase in registration, RSNA also reports that attendees have already booked more than 138,000 hotel nights in the city. The meeting will kick off at 8:30 AM on Sunday, November 27 with the opening plenary session, “Digital Revolution in Radiology — The Good and the Bad.” The session will feature lectures from Keith J. Dreyer, DO, PhD, and Robert M. Wachter, MD. Other plenary sessions include “Healthcare Transformation: Driving Value Through Imaging,” scheduled for Monday, November 28 at 1:30 PM and “Beyond Imaging — Radiology of Tomorrow,” scheduled for Tuesday, November 29 at 1:30 PM. Honorary members will also be recognized at Monday’s plenary session, and gold medalists will be recognized prior to Tuesday’s session. 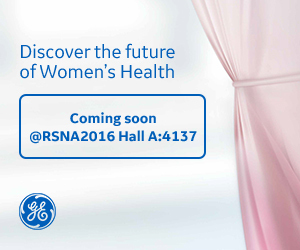 Along with the daily plenary sessions, more than 400 educational sessions will be presented over the course of the week, with themes ranging from breast imaging to policy changes to advances in technology. “This year’s exciting educational course program reflects the enthusiasm and expertise of the Refresher Course Committee and is made possible by the tireless organizational efforts of RSNA staff,” according to John Eng, MD, chair of the RSNA Refresher Course Committee, in a press release. The Huffington Post reported on a recent animal study using mice that found a possible link between frequent exposure to low doses of radiation and the development of Alzheimer's disease. Many employers have begun to offer incentives for employees to shop around for medical services, including imaging, according to a story by The Wall Street Journal. Researchers have recently developed a new robotic CT that moves around horses, and they hope to soon adapt that technology for use in humans, according to a report by CBS News. As the debate over the usefulness of scheduled mammogram screenings continues, FiveThirtyEight reports on the results of a recent study that found that the preemptive test may not necessarily be effective in catching cancer earlier.